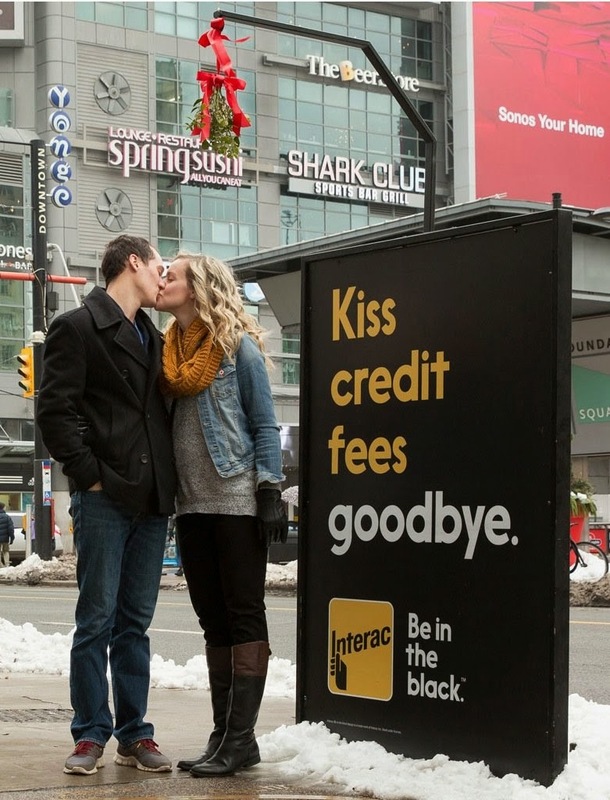 Interac: Don't let debt snowball, Don't get burned by credit fees, and Kiss credit fees goodbye. 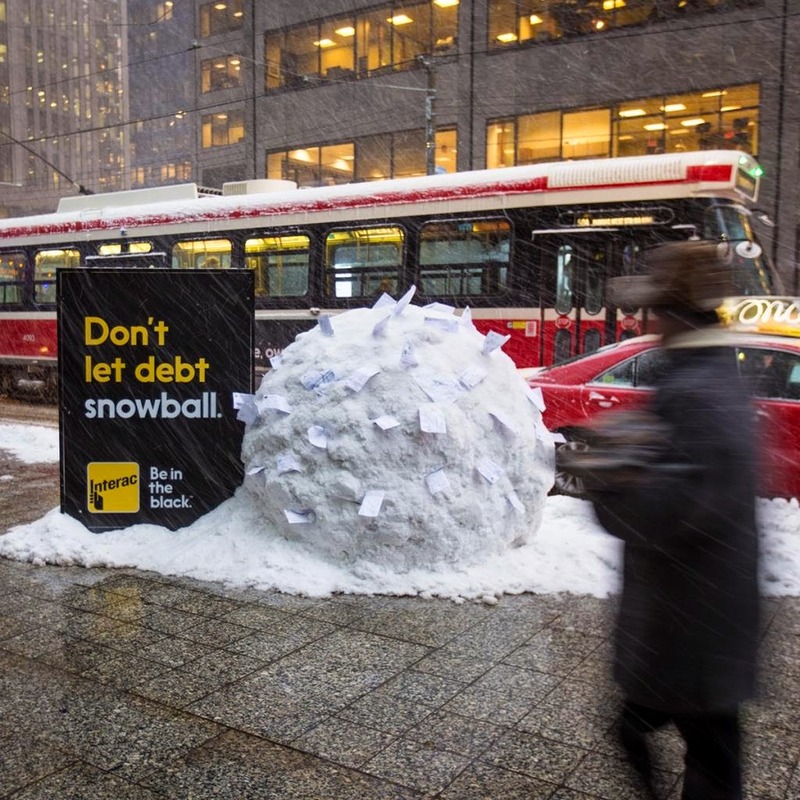 Launched on the morning of Toronto’s first significant snowfall, a giant snowball made entirely of real snow and credit card statements was placed on the busy corner of King and University in the financial district. 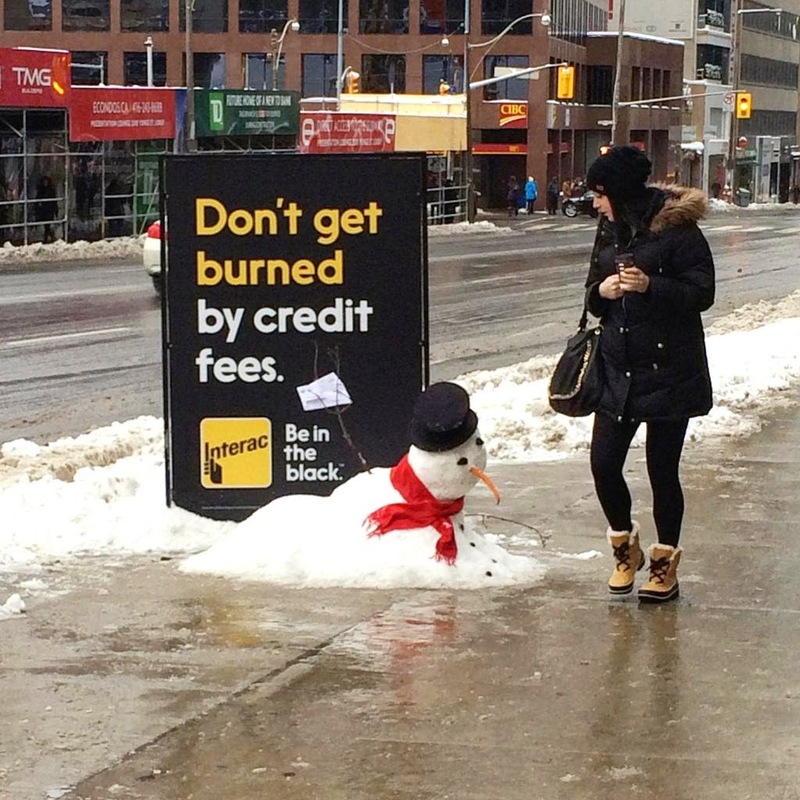 More work by Zulu Alpha Kilo here.